I came across a great video with some cool settings for the Electro-Harmonix 8 Step Pedal on the YouTubes. 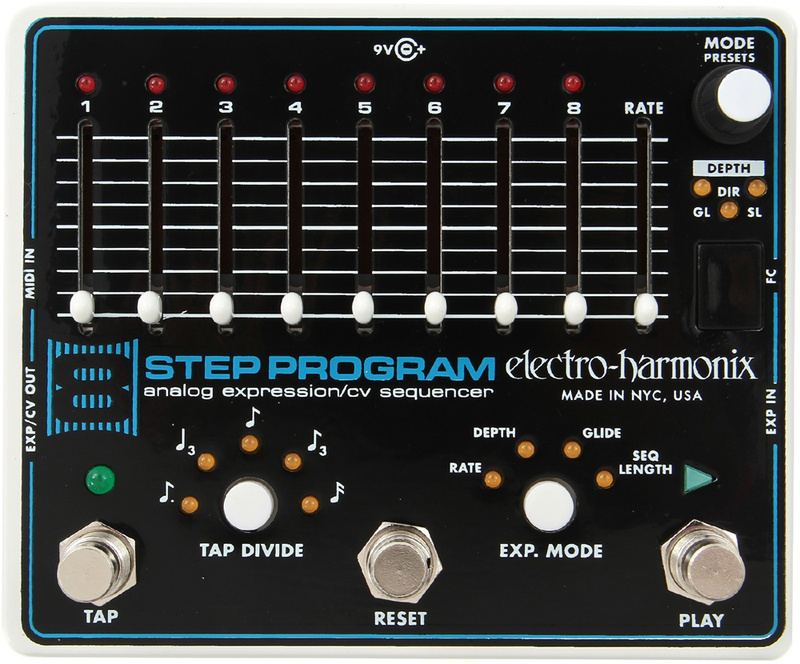 For those of you not familiar with the Electro-Harmonix 8 Step – it’s basically a sequencer that can be optionally plugged into a variety of other pedals that offer tap tempo input or expression input. Expression inputs MUST accept voltage source as the controlling signal. To explain this down, there are 8 sliders that can be arranged as hard positions on an expression pedal, and these hard points can be hit with a variety of tempos and patterns to create all sorts of coolness with the guitar and the 8 Step! Tempo can be controlled via the ‘Rate’ slider or the Tap button. Additionally you have Tap Divide and Expression Mode as well! The video featuring Magnus of Psyckadeli goes into a few scenarios and shows off some cool techniques and tricks with the Electro-Harmonix 8 Step. The Electro-Harmonix 8 Step is currently available for only $140.45 at Amazon.com. You can also purchase the 8 Step Program Foot Controller that will give you 100 presets! Let me know what you think of the Electro-Harmonix 8 Step by commenting below!